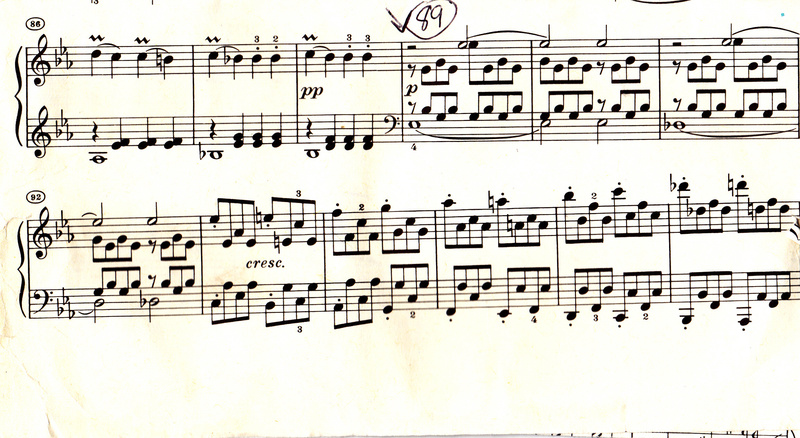 Instead of playing through laborious Hanon and Czerny exercises to improve aspects of piano technique, a student can cut to the chase, by snatching selected passages from their pieces that magnify a particular technical/musical challenge. At first I demonstrated how to enlist a forward rolling wrist motion for these passages, before the student emulated the approach. Too often, students will play these notes with vertical finger pokes, creating a very “notey” sounding phrase. The forward roll wrist motion helps to counter this tendency. 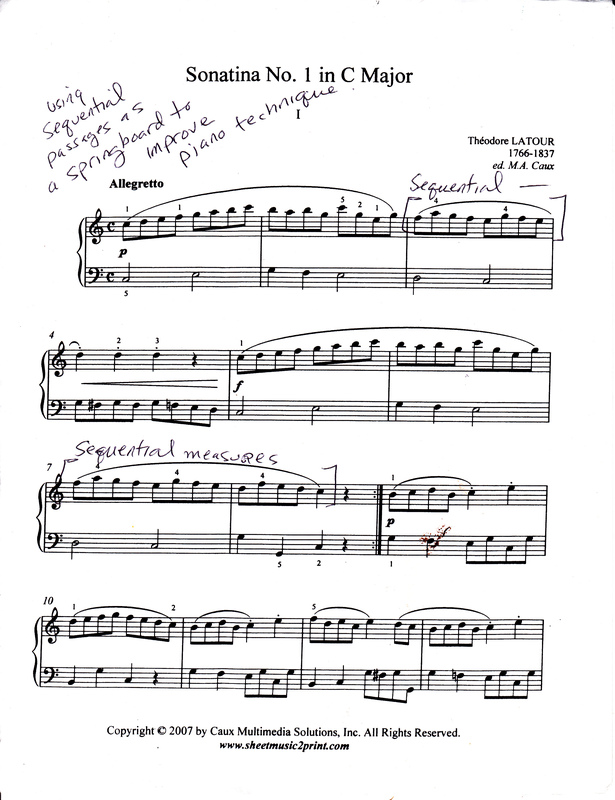 The instruction also fleshes out ways to apply rhythmic and harmonic variation to practicing the referenced set of measures. In the second video, produced months ago, I extracted a section from Beethoven’s “Pathetique” Sonata (first movement) to chord “block” in a graduated practicing frame that led to fluency and tempo building. The technique and approach you show in the first video are very useful for (relative!) beginners to teach themselves, many thanks!